There’s lots of information out there on all the things you can do with canned pumpkin. And while I’ve been tempted to give some of them a try, I’ve been wondering if canned pumpkin has any health benefits. 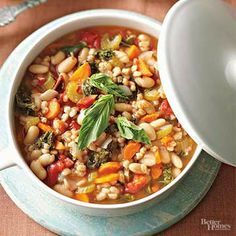 After all, we’ve all heard that fresh foods generally have a higher nutrient content than do cooked or canned foods. I found the answer on the Mayo Clinic site (www.mayoclinic.org). According to their research as reported by their Registered Dietician, Katherine Zeratsky (R.D., L.D. ), pumpkin is an exception to the cooked/canned food rule. Turns out that both fresh and canned pumpkin are packed with nutrients, such as potassium, vitamin A, beta carotene, and iron. If you stuck on fresh pumpkin, though then choose the variety that’s meant for cooking. And when choosing, look for pumpkins without blemishes that are firm and heavy for their size. Whole pumpkins can be stored in a cool dark place for up to two months. And it goes without saying, right? Be sure to keep the seeds. You can bake them for a delicious and wholesome, crispy snack. 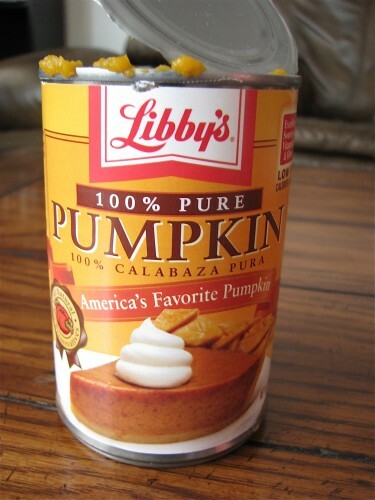 But if you're looking for convenience, canned pumpkin (without salt) is a healthy alternative. Just check the Nutrition Facts label on the can so that you know what you're getting. Canned pumpkin products may be labeled as "pumpkin," "100 percent pumpkin" or "pumpkin pie mix." 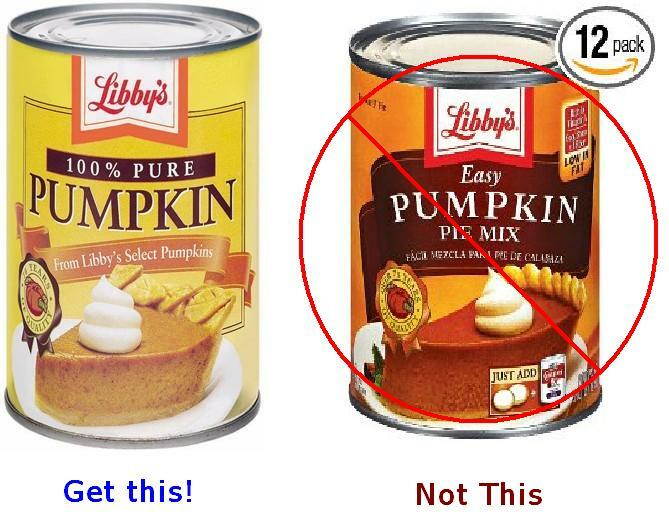 Unless you’re actually making pie, avoid the canned pumpkin pie mix. 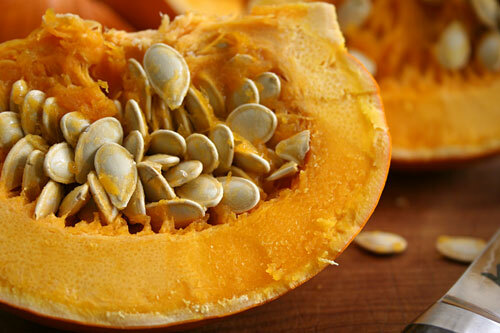 It usually contains added sugar and is therefore higher in calories than regular canned pumpkin. Instead use regular pumpkin (labeled 100%) and reduce the amount of sugar your recipe calls for. So with a solid case for canned pumpkin made, let’s look at some of the many things you can do with it. We all know about pumpkin-chocolate chip bread and cookies, adding it to waffles and pancakes, and including it in muffins. 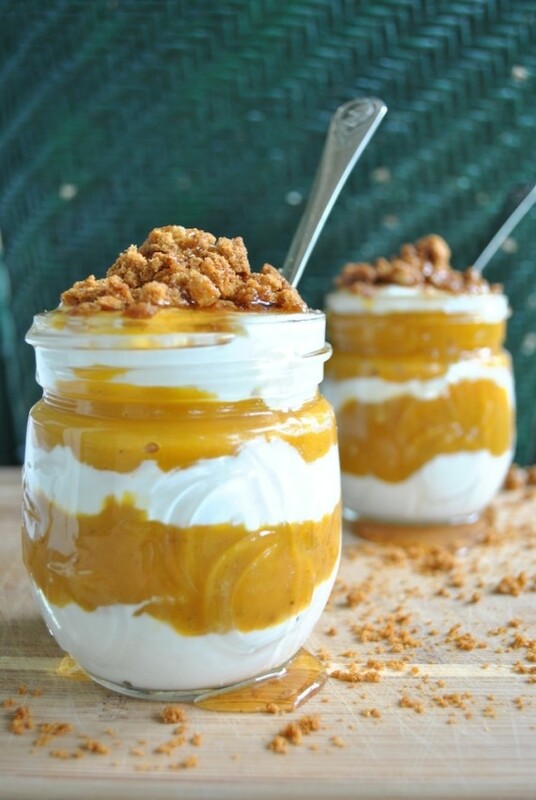 But one of our very favorite, and more unique pumpkin treats is the pumpkin pie yogurt parfait. The other main ingredient in this is plain Greek yogurt. I found this recipe on a great site, The Art of Moseying (www.theartofmoseying.com). Last Thanksgiving I substituted this for the traditional pumpkin pie dessert. Everyone raved. (Of course, there was cherry and pecan pie also available, so the pie-lovers didn’t feel left out.) But that shows you just how delicious this is! Top each parfait with granola, a drizzle of maple syrup, and extra nuts if desired. And another outstanding use for canned pumpkin is as a dip. 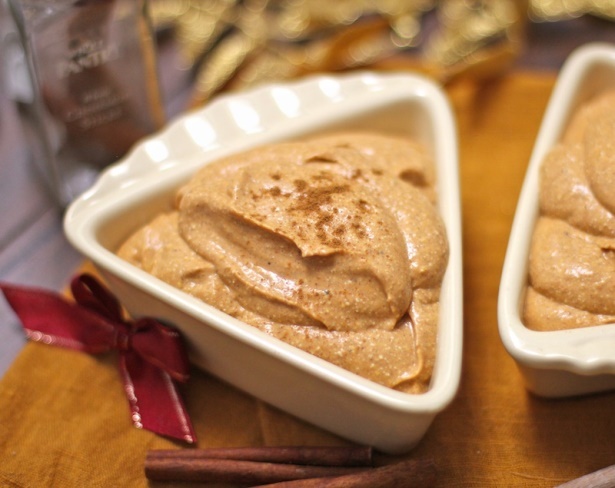 Just blend a 16 ounce container of cottage cheese with 1 cup of pumpkin puree, 3 teaspoons of raw honey, and 2 teaspoons each of cinnamon and pumpkin pie spice. This is perfect as a fresh fruit dip. I tried it also with crumbled short bread cookies; I created another parfait-y type dessert in pretty goblets. 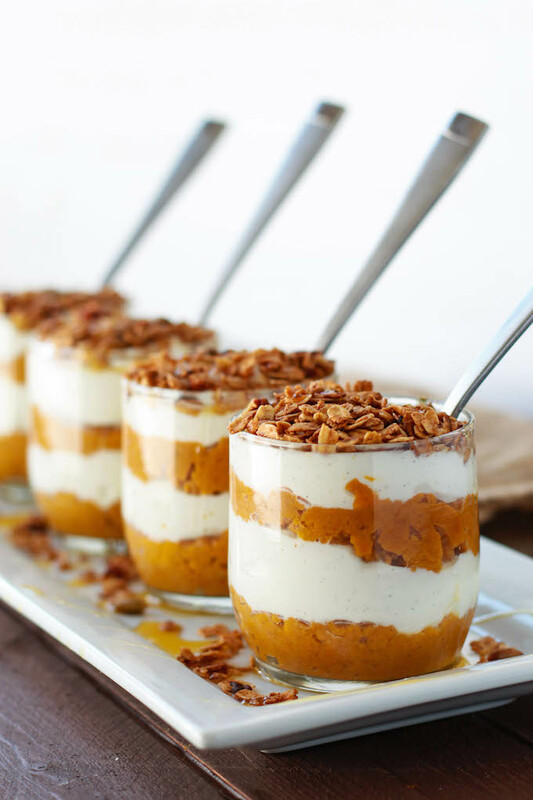 A layer of the pumpkin dip, a layer of cookie crumbles, and a layer of sweetened whipped cream finished it off. This was really yummy! And here’s one last suggestion: Try adding canned pumpkin to your soups and stews. Pumpkin has a fairly neutral flavor, so it can blend with most everything without detracting from a recipe’s original flavor profile. 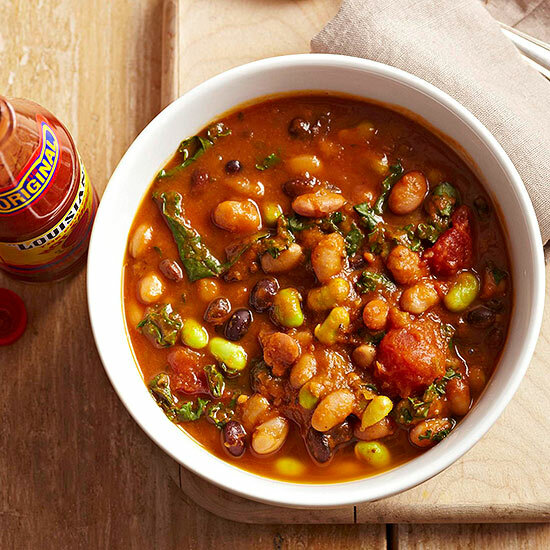 You’ll find canned pumpkin works especially well with bean soups and stews. I’ll close with just such a recipe. Try this one cold and blustery night and see what I mean.